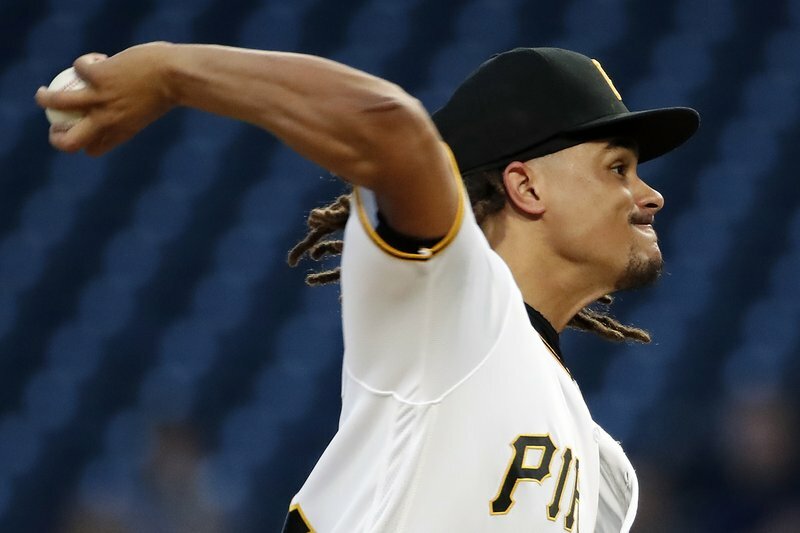 PITTSBURGH (AP) — Chris Archer came to Pittsburgh with much fanfare when he was acquired from the Tampa Bay Rays on July 31. Then he went 1-3 in his first eight starts with the Pirates. It’s almost certainly too late for the Pirates to make a playoff push this season, but on Wednesday night, Archer finally looked like the pitcher they thought they were getting at the non-waiver trade deadline. He pitched seven strong innings, and Pittsburgh completed a three-game sweep of the Kansas City Royals with a 2-1 win. In his most impressive start since the trade, Archer (5-8) allowed one run on six hits with eight strikeouts and one walk. The right-hander made it out of the sixth inning for the first time in nine starts for the Pirates. The Pirates remain marooned in fourth place in the NL Central despite a five-game winning streak that’s moved them three games over .500. Felipe Vazquez allowed one walk in the ninth but earned his 35th save one day after he let a 1-0 lead slip away — his fifth blown save of the season. The Pirates went on to win 2-1 in 11 innings on Tuesday night. Adam Frazier broke a 1-1 tie with a homer to right-center with two outs in the fifth inning off rookie right-hander Heath Fillmyer (3-2). It was Frazier’s ninth homer of the season, and it came two days after he fouled a ball off his knee. The injury held Frazier out of the starting lineup Tuesday, although he entered in the ninth and played the final three innings. He started Wednesday at second base. Fillmyer allowed two runs on eight hits with five strikeouts in seven innings for Kansas City, which has lost four straight after winning five of six. Royals manager Ned Yost was pleased with how the 24-year-old battled. Colin Moran put the Pirates on the board with a single to left that scored Corey Dickerson, who was 2 for 3 with two doubles, in the second inning. Adalberto Mondesi tied it with a homer to center, his 10th, in the third. Royals: OF Jorge Bonifacio was taken out of the starting lineup after going 0 for 4 with four strikeouts and one walk Tuesday. He entered as a pinch-hitter in the ninth and drew a walk. Pirates: RHP Chad Kuhl underwent elbow surgery on Wednesday. No further details regarding the operation were provided. Kuhl was re-examined by Dr. David Altchek in New York on Tuesday. He last pitched on June 26. Royals: RHP Jorge Lopez (2-4, 3.93 ERA) is expected to start against the Detroit Tigers on Thursday. He left Kansas City’s game against the Minnesota Twins on Sept. 14 with a left rib contusion sustained in a collision with 3B Hunter Dozier. Pirates: RHP Ivan Nova (9-9, 4.07) takes the mound against the Milwaukee Brewers on Friday. In his past two starts, Nova has allowed one run on seven hits over 12 innings with 13 strikeouts and two walks.